Painting the interior walls of a room is one of the easiest and most popular do it yourself projects in a home, as a fresh coat of paint can provide an affordable ​transformation to a room. 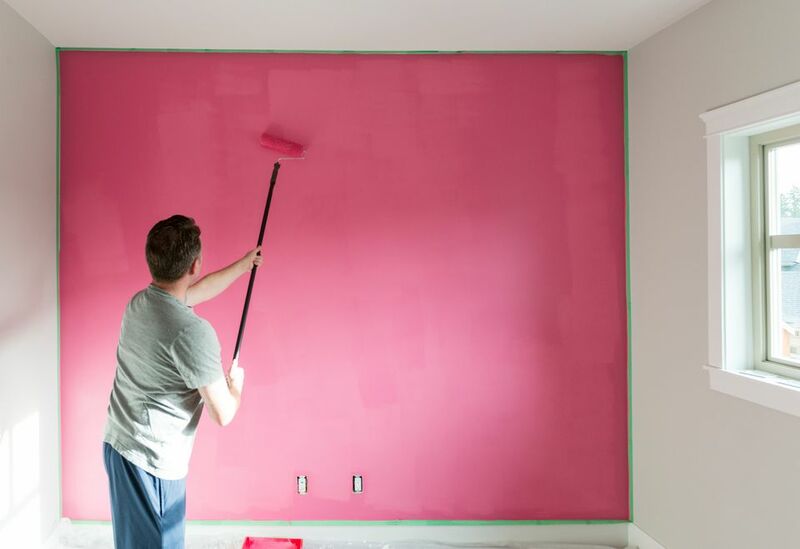 Before getting started on painting in your home make sure to read our useful tips on how to paint your walls like a pro. Begin by unscrewing all electrical light switch and outlet covers from the walls. To help ensure the outlet or light switch screws do not get lost place the screws and the covers into a small plastic bag. If there are a variety of different sized screws or outlet covers place each pair of cover and screws in their own plastic bag and on the front of the bag write down the location of the electrical outlet so you can quickly install the cover again later. Instead of paying for sample size paint to swatch on your wall, ask for large-scale paint swatches as they make it easy to visualize what the paint would like on the wall and can be easily moved around the room or taken off the walls, unlike the painted swatches. Make sure to test out your paint swatches in the room so that you can see what the colors look like with natural light and in the evening with the lights on in the room. 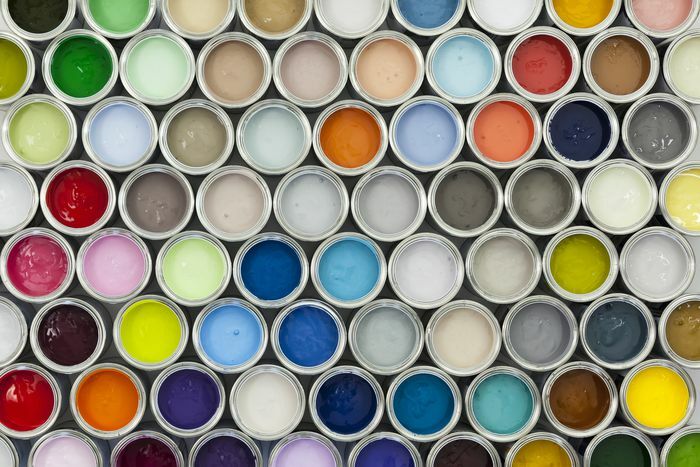 Often artificial light will change the look of the paint color by casting a more yellow or blue tone to the color of paint so it is important to always test your paint swatch in the room before painting. Lay drop cloths on the floor and all furniture within the room to protect them from the paint. Next using painter's tape apply tape around the moldings and window frames. Make sure to apply firm pressure when applying the tape to ensure the paint will not be able to drip under the tape. Before you begin painting it is essential to prep your walls for painting. Fill in all holes in the wall by applying spackling paste with a utility knife or palate knife to the hole. Once the spackling paste has dried use fine grit sandpaper to sand the area until smooth and ​proceed to sand off all paint drops or bumps on the walls. Wipe down the walls with a damp cloth to remove any of the dust from sanding to prevent the dust from sticking to the paint. If the walls have any grease on them use a cleaner designed to remove grease on the walls as the paint may not adhere to greasy walls. If you wish to paint over dark walls make sure to paint a coat of primer before you begin painting as this will reduce the number of coats of paint you will need to paint later. Line your paint tray with plastic tray liners, a piece of tin foil or a plastic bag so that you can easily clean your paint tray when done by throwing out the liner instead of spending time scrubbing off all the excess paint. Before you use the paint roller use a paintbrush to painting around the baseboards, ceiling, wall corners, and windows to cover the areas that cannot be easily painted with a paint roller. When painting near the ceiling use an angled brush as they are more narrow and will help prevent getting paint on the ceiling. When painting with a paint roller, roll the paint in overlapping "w" so there are no clear roller marks. Purchase an extendable paint roller, or find a paint roller that lets you screw in a handle to the base and attach your broom handle so that you can reach up to the ceiling without climbing onto a ladder. If you are taking extended breaks between painting coats place all your paint brushes and foam rollers into the paint tray and place the paint tray into a plastic bag. Tie the plastic bag and it will keep your paint from drying out for a day or two.